"the vpn to access the content that in my country is blocked"
with this vpn you can perform anonymous browsing so that the protection of your identity is secure, hiding your ip address can protect from spammer and hacker the confidential data of credit cards and bank data in general, if you have any blockage in a certain place of social networks hotspot shield allows you to break that blockade and access it quickly and very easily, it also offers protection against malware found in some internet sites that are sometimes visited, the program automatically blocks them and sends you a notification of the blockade made. although the program has several strengths, unfortunately is disconnected several times if you do not have a good internet connection, also the connection and internet browsing is slower than if you were not using it, the difference is appreciated by being a while the application. hotspot is a pretty good vpn has a free version and a pay, depending on the application and the budget you have the version you want to install, on the other hand performs a pretty good IP hiding task, I think it's the point strong program, however the user should take into account that when using the application will notice a small decrease in the speed of navigation, it is clear that if you have a fast connection will be imperceptible. the use of the Hotspot shield is indispensable in any company or home in my country, where due to the control of the Internet imposed by the government, it is not possible to access some important pages, so that in the work for some time now they have been willing to the use of this type of program, thanks to the use has allowed us to access blocked content, besides that it has offered the opportunity to hide the ip which is very important to be able to access certain content on the internet. "good vpn tool to mask our connections"
One of the advantages of Hotspot Shield is the fact that it can be used on up to five devices at once, making it a very attractive option for many users, especially for the price. Another advantage is the ease of installation and use. Hotspot Shield can be downloaded and installed in a few minutes by anyone - no technical knowledge is required to install and use the product. "I can surf anonymously protecting my identity and my data." 1.-I can surf anonymously protecting my identity and my data. 2.-I can have access to blocked pages, whether they are blocked by work or office, or that they are blocked from the internet service provider. 3.-I can access my social networks in case these are also blocked at work. 4.-Hide my real ip address, assigning me another from another place and country. 5.-It makes a protection of my confidential data, and of my banking data in general, in a safe way and to be able to use my credit cards without the danger of my data being stolen. 6.-It has compatibility with several operating systems even with my smart phone. 1.- Payment plans are expensive compared to other service providers. 2 .- The free option has annoying advertising and servers are limited to the US, which is quite annoying. 3.-The support is very bad, only support by email, having to wait for a response to a concern. sometimes several days. 4.-The speed of connection is slow. I recommend it because with the use of this vpn, you can access the pages that are blocked nationally, I can give testimony that the program works perfectly, the anonymous browsing is safe and the free plan works perfectly only that you will have the publicity that sometimes bothers, but does not prevent you from accessing the blocked sites, and most importantly, the US server is available for the free version. in the company it has allowed us to be able to carry out the banking transactions of secure mentra, previously we had been the victim of an attack, and since then with the use of this vpn we can be more secure, the only disadvantage is that sometimes disconnections occur and the vpn goes out, but it happens very rarely. This VPN has been an ideal tool to connect to the Internet in an anonymous way protecting my personal data, passwords and any activity you are doing on the web. I use it when I need to research or work with pages from other countries to which I can not easily enter with my local IP address. I like it because it's free, fast download, easy to use and application. It does not require deep knowledge to be installed and used, that's why I downloaded it to my desktop, tablet and personal phone with good results. As I have used the free version, the megas available are not enough for the number of times I connect to the web, I always run out early and I must use another VPN. With this version I can not choose the location or country from which I am connecting. For me the costs of the Premium version are high and inaccessible. Sometimes the interface of the computer gets heavy when I'm working connected to the VPN.Even so my experience with the use of the tool has been very positive, so I have recommended it to family and friends who like me have required a private connection. The main contribution of this VPN is to unlock the pages to which I could not easily access from my local IP. I have had the privilege of consulting contents and global information to feed my research, allowing me to fulfill my goals and work commitments. Additionally and no less important is the fact that sometimes, when I use Wiffi public, I activate it to protect my data, which generates security and reliability. "Best VPN I have used for its speed, usability, and cost"
I have not found anything to dislike yet. Try it for free. you can download the app and use the free version to test it out. You will not notice any speed reduction or the product being obtrusive. Then buy the two year option so that it comes out to $36 a year. For those that want to use this for Torrents and downloading, this is also good for that. I use it for personal and business use. I have a home based business and like to keep prying eyes like my ISP at a distance. "La mejor VPN para navegar con seguridad"
La desventaja es que la versión gratuita te ofrece una gran cantidad de publicidad que disminuye cuando compras la licencia, ya que incluye muchas más opciones y la buena ejecución de la VPN también depende de una buena conexión a Internet. It's the fastest VPN i've tested. Incredibly simple, intuitive and easy to use software, an excellent design, you can adjust your VPN configuration and location easily. Torrenting support, is an excellent option for P2P connections. Offers protection against malicious software in the proxy browser. The contact with the support team is through the support ticket. It uses the OpenVPN protocol, Without TOR compatibility. If you are looking for anonymous and fast connections it is a great option, but if what you need is maximum security it has some deficiencies.
" Hotspot shield protection instantly"
the simple way to install and use with just one click, bringing as a benefit privacy and protection when navigating with just activate it changes the vpn. I was able to easily access web pages without difficulty, facilitating the process of uploading documents and obtaining appointments for personal procedures. "A useful VPN that offers excellent protection"
The establishment of the connection is quickly done. Apps on windows as well as on Android are very good. It has the option of Kill-Switch that is very useful. Some servers have a speed of download and upload of information some slow and disconnect without notice. Easily connected with any device from a computer or mobile phone to the Internet. This tool allows us to access sites where we need to collect information privately and securely. "There are lot of VPN but Hotspot shield beat them in speed." Easy to use and best for security as all the data is encrypted. Provides security from web threats. One can add nearly all of their devices at max five. unlimited bandwidth but yes price is associated. Sometimes it shows add even after it is paid. Not much to dislike compared to other VPN in market. It is not supported for windows phone. IF you need a VPN that can guarantee you security as well as provide you fast internet. You should go for it. Anonymous browsing without compromising the speed and unblock most of the site. The Hotspot shield is one of fast and easy to use. To protect your privacy the demand of VPN increases day by day and Hotspot is one of the VPN provide you with great features and security. The best thing is you 7 day trail to use this then you can decide to buy the full version and which is not so costly. I like this VPN very much and don't find much dislike but yes sometime i find ping speed is slower and which really lack sometime. If you are looking for the great VPN which provide you best customer support and user experience go for HotSpot Shield. Using Hotspot shiled i realized that provides great user experience and really protect the privacy. "A perfect choice to have free vpn"
The biggest advantage of this vpn system is that it is free. It allows you a very fast navigation. There is no limit to the use of bandwidth, you can work 24 hours a day. It is compatible for windows, android and mac. For the free version it only allows you to establish a connection with Canada and the United States, if you wish other countries you must buy the license. There is page restriction to navigate with this VPN and if you want navigation without restriction you must buy the license. It does not allow mining from the vpn. I have been able to access banking pages that are blocked in the country. "Hotspot Shield is a VPN that offers excellent security"
I like the most that it's pretty simple to use and fast. Setup takes just a couple of minutes, and the tool will turn on when needed and remain off when not. The servers are not always fast, but it is not a problem for the purposes that I use it. Software that has no problems, or at least for the reasons why I use it, I do not find weak points that make me stop using it. This software offers a significant amount of resources in terms of security on the web, which is one of the most important reasons why the company chose it. What I like about Hotspot shield is that hides my IP Address and keeps my web activity private, as it should be. My account is the Elite user, and it works on up to 5 devices which is great. What I dislike is that sometimes purchases I want to make are blocked, as HotSpot shows me in a weird location, and also some sites are blocked, so I have to disable it. It also has a difficult time adding new devices when it's at full use even when it's not on another device when the device has not been used, turned on, etc. This has happened when I get a new device and it's not even on the old one anymore. It also makes it difficult for Google and social media efforts as it shows me in a completely different location, so I wouldn't recommend it if you are doing local marketing work for yourself or other businesses. Downloading new profiles has also been problematic with many of the profiles not working. 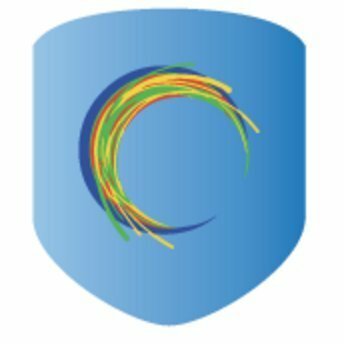 Hotspot Shield is excellent to protect your online identity on your phone, tablet, computer, and will definitely make your online location different. Hotspot shield is excellent when you want to keep your web activities private. This is really what it's made for and it certainly works for this, and at times you may need to disable it so you can do things that require your actual location data. Hotspot shield is super easy to install or remove from your machine. It makes your access completely anonymous by pinging to a different server, but the best part about this VPN is that it doesnt slow your traffic. It also allows us to circumvent blanket network blocks on some of our online tools, so it has plenty of practical business applications. Additionally, its very simple and easy to tell when you are fully connected and using the VPN, and equally easy to turn connection on and off. It is a little annoying having to deal with ads during the installation process and then occasionally after the install, but its a free programs so occasional ads are understandable. Hotspot shield is great for consolidating your traffic and allow you to ping your IP address to a different location. this has been useful for us as we sometimes are wired into networks that block our tools, and hotspot circumvents those blocks. "Easy software, not so easy setup"
The download and upload speed is very good. The software is made to be easy and intuitive. It was very difficult to set up correctly and get it to run properly. The help didn't cover my situation and I had to figure it out alone. There are a lot of different VPN's available in the market. I had issues with this option, but it's worth a try. The free option allows you to test it, so I recommend a trial before adopting. The speed was good for my purposes, but you should evaluate within your needs. VPN is an important aspect of security for any company. We opted for using VPN as a safe guard for navigation. "Best way to use banned sites"
Basically I love all the features of this software but if I have to point out one then sometimes it cannot connect to the WiFi and I don't know the reason but this happens randomly. I was using hotspot for instead of using my server , by using hotspot shield I used it as a proxy server. "Hotspot Shield is my Go To for safe browsing"
Ease of use and unlimited bandwidth for elite users. More expensive vs other similarly rated services. For the price and features, its hard to beat. Reviews make it obvious that this ranks in the top #3. A safe connection is paramount when accessing files and customer information. Agents in field no longer have to worry about open connections and data theft. "One of Best Personal VPN out there"
This is one of the best VPN i have used so far.Easy to set up and use and amazing speeds. you can access all the geographically restricted sites and access their content without any hassle.Best part is you can set it up on your mobile devices too.Lot of servers to choose from . They could improve the speed a bot more on the free version.The paid version is little expensive for personal use. This is the VPN to go to if you are concerned about ease of use and safety. I am able to choose where I want to route my system through and it is still relatively fast. I am able to browse websites, download documents, and stream video as necessary. Its really easy to setup and makes it easy to use a VPN. The software made my Mac a little buggy with internet sometimes. I would turn the VPN off and run into issues where my computer would randomly disconnect from the internet until I restarted it. Its worth the try but its not as fully featured as other VPN system. If you want something that just gets the job done this is it. Being able to do work securely and test our system from multiple locations. "Lightweight app with great VPN services"
It's pretty lightweight, so it doesn't take much memory when running. As far as the features are concerned, it offers many different locations across the globe to host the VPN, even on the free plan. Nothing at all, Hotspot Shield is my favorite VPN app. Definitely recommend using this if a VPN service is needed. Use this connect with my company's server, whenever I am away and I am working from home (or remotely). "One of the best VPN"
I like that I am able to add it to my browser and decide how i would like to connect independently. do it! Its an easy to use tool and i love how intuitive the interface is. I live in Jamaica so need a VPN to do many tasks and subscriptions as well as purchase certain items. It's a life changer for my business. "My Experience using the Hotspot"
"Usable, if not a little cluncky"
I appreciate the function of Hotspot Shield - it does work as promised. The interface is a little cluncky and sometimes makes my processor run slower than I would like. * We monitor all Hotspot Shield reviews to prevent fraudulent reviews and keep review quality high. We do not post reviews by company employees or direct competitors. Validated reviews require the user to submit a screenshot of the product containing their user ID, in order to verify a user is an actual user of the product. Hi there! Are you looking to implement a solution like Hotspot Shield?